Hahahahahahahahahaha thats good,i love u president Goodluck.Pls if u dont like the Name MAULAG just go and look 4 another University. This is obviously a photoshopped picture!!! Linda, this one na photoshop jooo! I don't like this at all. MAULAG is impossible to pronounce, it don't make sense and it'd cheapen academic qualifications from that institution. It's very very wrong for GEJ and PDP to impose themselves on UNILAG. I've got no problem renaming anything after Abiola, it shouldn't be UNILAG. It should something central / federal - the best uni in Abuja, the best and longest road in Abuja, or rename Aso Rock to Moshood Abiola House. GEJ seem scare of upsetting the Hausa / Fulani people. He should name something meaningful in Abuja after MKO to honour him for the sacrifice he paid with his own life and stopped Hausa / Fulani people to stop grabbing power as if it's their birthright. Linda yhu bettr dnt provoke mi whts oh no???!!! Loooool... Una wan fight FG wv protests pls wake up! Ndi int'l brand. 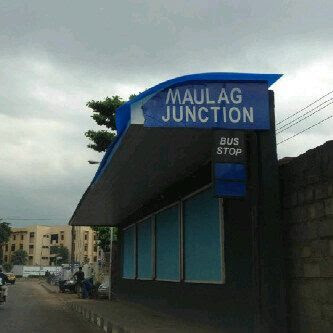 Maulag has come 2 stay! Yeeeeaaaa... What's playing out? If una mara, dem go close d sch at whu's detriment. Una wan challenge una papa! Una fada thr!!! Confusion broke Bone ye pa Goodluck Jonathan You be dobble wahala , God help You. The most confused President Nigeria have ever had.Bad news Evil Man You whant go on punish. All these dumb fucks that couldn't gain admission into UNILAG....na here una wan dey take out una bad belle abi? Una don fail. GEJ and you stupid supporters of this folly will DIE first. Poverty kill una there. Animals in the wrong zoo. The money this thief of a president will use in rebranding the school and the others he renamed, will employ a lot of our unemployed youths. Chai. Most nigerian youths disgust me with their foolishness. You will soon hear that 20 billion was spent in the re branding process. If no be trouble this gorilla man dey find, shey there are 9 fed unis under construction? Why not name the whole 9 after MKO? Awon olori ibu. I no blame una. Na yaba left and Aro wey don full I blame. Omo onile wants it and omo onile was consulted before d declaration.Pple accept the ultimate. It is here to stay. What omo onile wants omo onile gets. It's as simple as dat. Or oba akenzua university we go kil dem . Its great akokites. Not great unilag or maulag. Nothing is playing out. It's a done deal in that NAZI nation!! heyaaaa. I can imagine most Unilag students now crying aloud wishing it happened after they've graduated. Nothing is playing out. Linda let me give u a little history. After the war, pple were brought to Lagos to keep them from starving.They had babies and were made comfortable. The babies are now grown and they know nothing but Lagos. Because they were brought up in Lagos they thought they own Lagos. These pple came from Abakaliki, Umuahia etc.Being born in Lagos only give them Nigerian citizenship nothing else . They do not belong to Lagos or own Lagos. That is why they cannot accept d name change. Forget about it. It's a done deal. Lagos belongs to Lagosians-Yoruba( Omo Onile). Lol. All u people saying those mocking u are those dat didn't get admission into lag just make me laff. Unilag has now become heaven dat everyone strives for? Pity. The only reason u re all concerned about the name change is d social status associated with it. Even those dat came out with a pass are content as long as its unilag. A lot of this unilag students come frm backgrounds dat cannot be reckoned with hence it is a great achievement to have passed thru unilag. I feel ur pain but really dat statement abt not getting admission into Lag, hence d beef...is ignorant. Find a more intelligent arguable point. Make Unilag proud. LINDA, I AM SURE U COPY DÍڪ ONLINE WITHOUT GETTING THE FACT. NOTING TOOK EFFECT THIS Ȋ̝̊̅§ MERE PHOTOSHOP. Why does this dude ALWAYS come off as one with psychotic issues? Aro and Yaba left never full na. Linda Question is did you photoshop this was it sent to you like this? Mtcheew na dm knw.shout out 2 al maulag student d name is nt al dt bad is jst dt d name unilag wd no longer be used wen given certificates it wd nw b maulag.sori i feel u guys pain. Lindaaaaa i hope say no be you shop this photo. Stop decieving urself, am sure they will love that name in a matter of wks. Cause they ave got no choice. Ha ha ha, honestly all that their shakara don end! U must be living in the village to say ds pix real. I no even believe fake unverified infos can be found here too. Strange things. Arabic word written in sand?